We have introduced the basic concept of functions in the previous lesson. 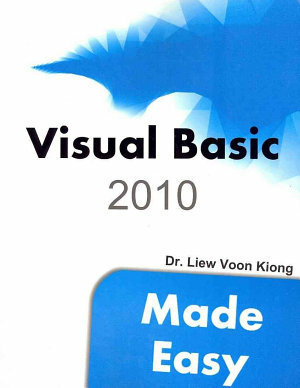 In this lesson, we will examine the built-in functions in VB2010. As a matter of facts, we have introduced three built-in functions in Lesson 8, they are the Len function, the Left function, and the Right Function. In this lesson, you will learn additional built-in functions. phrase is the string from which a part of the text is to be retrieved. position is the starting position of the phrase from which the retrieving process begins. n is the number of characters to retrieve. The following code extracts the right portion any phrase entered by the user. TThe following code extracts the left portion any phrase entered by the user. T*The function returns a numeric value. TThe Ucase function converts all the characters of a string to capital letters. On the other hand, the Lcase function converts all the characters of a string to small letters. TThe first argument, Prompt, will display the message in the message box. The Style Value will determine what type of command buttons appear on the message box, please refer to Table 12.1 for types of command button displayed. The Title argument will display the title of the message board. TWe can use named constants in place of integers for the second argument to make the programs more readable. In fact, Visual Basic 2010 will automatically show up a list of named constants where you can select one of them. TyourMsg is a variable that holds values that are returned by the MsgBox ( ) function. The values are determined by the type of buttons being clicked by the users. It has to be declared as Integer data type in the procedure or in the general declaration section. Table 13.2 shows the values, the corresponding named constant and buttons. TAn InputBox( ) function will display a message box where the user can enter a value or a message in the form of text.